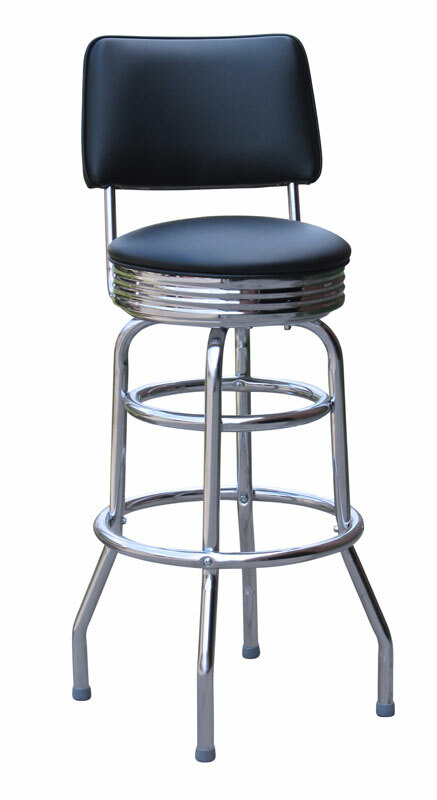 Our traditional 360 degree swivel stool with back gets a stylish retro upgrade with a decorative chrome pan. This stool is built for both durability and comfort. 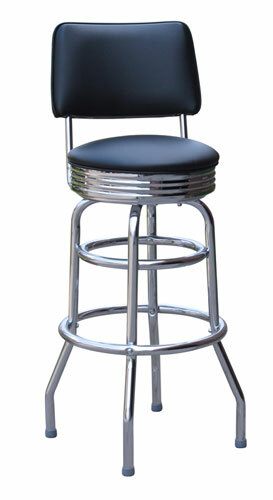 This retro styled bar stools is great for restaurants, bars, kitchens, and homes. The frame is made of 18 gauge chrome plated steel. This product is manufactured in the USA.